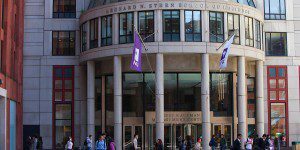 The NYU Stern School of Business released its 2018 MBA Employment Report at the end of last month, revealing that more graduates in the Class of 2018 had accepted full-time job offers three months after graduation than anytime in the past five years. Not only that, many recent grads reported a large jump in salary and bonuses. There are just a few of the highlights from this year’s employment report, which also Amazon topping the this of MBA employers for the second year in a row. This year, 93.7 percent of MBA graduates from Stern had accepted full-time job offers three months out from graduation. This was up from 91 percent last year, and higher than every year since 2013. As for compensation, average base salary jumped 6.5 percent year over year, to $129,059. Average signing bonus, meanwhile, increased 7.5 percent, to $35,637. When it comes to where Stern graduates work, the data remains consistent. Consulting and investment banking are the two most popular industries, luring 28.4 percent and 26.2 percent of the class, respectively. This represents a slight increase for both industries over last year. In 2017, consulting drew 26 percent and investing drew 23 percent. Technology and telecommunications stayed steady at 16.5 percent this year, on par with 2017. The only other notable changes in terms of industry appeal were a small dip in consumer packaged goods (falling to 5 percent, from 7 percent last year) and a slight increase in law (rising to 4 percent, from 2 percent). 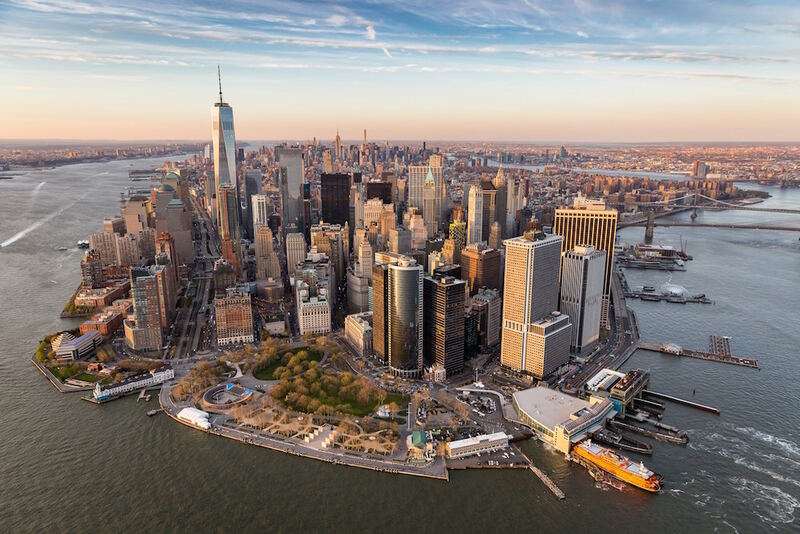 “While the top three industries employing Stern students are consulting, investment banking, and tech, graduates are pursuing roles in a range of diverse areas including growing industries like fintech,” Briggs explains. Amazon took the top spot for the second consecutive year as the most prolific hiring company of NYU Stern grads. Other top employers of graduates from the Class of 2018 included Credit Suisse, McKinsey & Company, J.P. Morgan, IBM, and Bain & Company. About 77.6 percent of grads accepted jobs in the Northeastern U.S., and 13.2 percent went West. The majority of students (49.7 percent) received offers of employment from the companies where they completed their summer internships. Of those who chose not to accept a job where they interned, 20.1 percent received an offer from an on-campus scheduled interview. In addition, about 9.7 percent found their job through Stern job postings. The rest of the class found jobs through personal contacts (6.3 percent), external job boards (4.7 percent), or alumni (3.1 percent). You can view the complete NYU Stern 2018 Employment Report here.